Molito Lifestyle Center is fast becoming a byword destination in Metro South because of its laid back atmosphere and restaurants that offer upscale dining menus and gourmet cuisines. This side of the Southern neighborhood offers a wide array of classic food, regional specialties plus international spread that would satisfy anyone's cravings. Foodies will find comfort food with Recovery Food, Cravings, Wooden Horse, Yushoken, Omakase, Ice Flower, Torch etc. You'll be pleasantly surprised at the culinary options awaiting you. 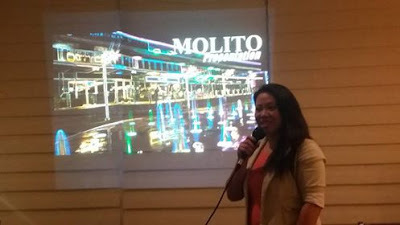 The Molito Lifestyle Center that extends from at the corners of Alabang Zapote Road, Madrigal Avenue to Commerce Avenue (in front of Ayala Alabang Village) was built in 2012. It has a colorful floor fountain that matches its beautiful green lawn, where children can play. Molito is a haven for those who crave for simplicity and elegance. It is a cool place to lighten up from the crowd. Its peaceful and breezy ambience is perfect for relaxation, family dining, get-togethers, business meetings. You can chill the night out while having your favorite drink or coffee. Watch out as expansions come your way this year. 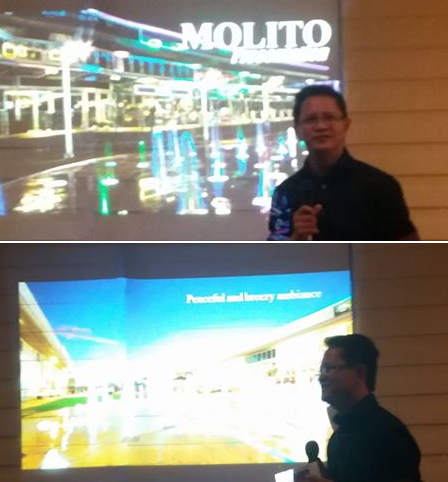 Future plans of Molito Lifestyle Extensions include showcasing new restaurants, health, and wellness establishments, retail, and other lifestyle shops. 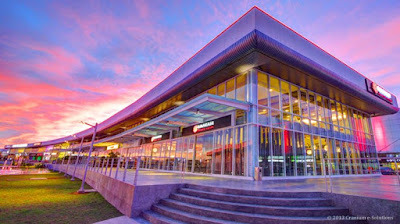 The new mix of stores will make it the ultimately destinatination to enjoy fashion, arts and crafts and food.